Synth-ing: CONCERT - Special Concert Tomorrow - September Equinox Concert event! CONCERT - Special Concert Tomorrow - September Equinox Concert event! 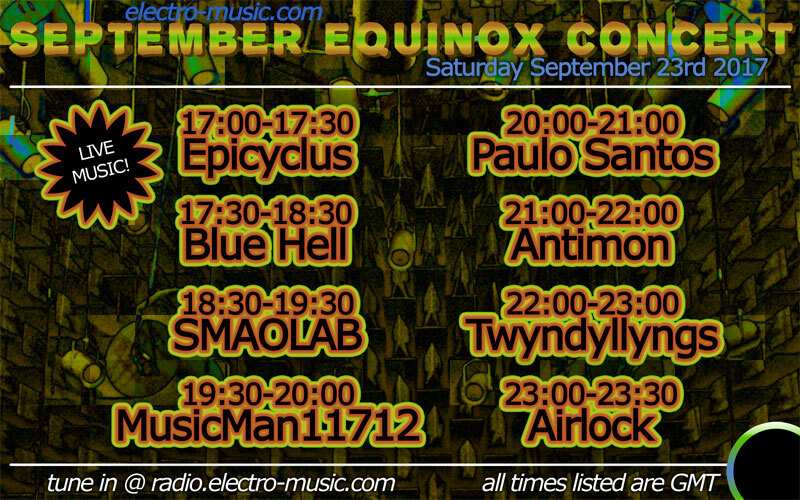 And this is a very special concert as it is a part of the September Equinox Concert event at electro-music.com! I'll be playing at 20 GMT, but totally recommend you all to check all the concerts tomorrow, as I'm sure they will all be amazing and worth listening to! So it will be a bit different to my previous performances, but I hope it will be very interesting still! This will be a one-off performance, but I hope these following weeks I'll have some more time to get the blog back on track, as I really want to get done with the pending posts before getting back my playing slots. MEANWHILE - Happy 909 day!